Tim & Lena Conlan founded Crossing Latitudes in 1995. Over the years we have promoted responsible enjoyment of outdoor pursuits all over the world while instilling an appreciation of different cultures and lifestyles. Our trips have always been an outdoor and a cultural experience wrapped into one. We have been camping for a living for a very long time. Tim since he took his NOLS instructors course 1978 and Lena her NOLS instuctor course in 1986. We have done some fantastic paddling and hiking around the world but now it is time for a new chapter. Today Crossing Latitudes hosts NOLS Wilderness Medicine courses in both the US, Scandinavia and Europe. Lena who is an WEMT teach many of these courses and Tim enjoys winter skiing in Montana and wood work in the summer. If you would like some one to guide you in Scandinavia please contact us – we will gladly connect you with Adventure companies in Scandinavia with extensive educational backgrounds and expedition experience. Crossing Latitudes is an affiliate of NOLS Wilderness Medicine, a member of ATTA – The Adventure Travel Trade Association, a member of WMS - Wilderness Medical Society and a member of Swedish Nature and Ecotourism Society. Lena is from Sweden. She has been active in outdoor related activities since childhood. Her family operated Camp Sparreviken – a YMCA sailing and canoeing camp on the Swedish west coast. Lena has a teaching degree from the University of Umeå. 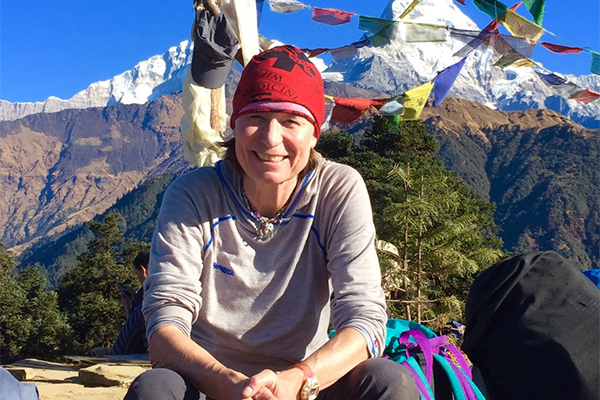 Her love of travel and adventure drew her to the U.S. 1985 – where she ended up teaching for NOLS (the National Outdoor Leadership School). After years of travel covering four different countries as co-ordinator of NOLS sea kayaking program, it seemed only natural to return to Scandinavia and start her own adventure business. Lena is the master planner behind the wide variety of activities and outdoor education Crossing Latitudes has offered the last 20 years. Now a days Crossing Latitudes and Lena is sponsoring / hosting NOLS Wilderness Medicine Wilderness First Aid (WFA), Wilderness Advanced First Aid (WAFA) and Wilderness First Responder (WFR) courses all over the world. Lena is a Wilderness EMT and part of the Bozeman Search & Rescue team. Lena has been teaching for NOLS Wilderness Medicine since year 2000. Tim is from the U.S. He’s lived near the Rocky Mountains most of his life. Tim met Lena in 1986 while teaching sea kayaking expeditions in Baja California, Mexico for NOLS. He had been working for NOLS as an outdoor educator since the late 70’s. During that time he’d taught just about every skill type they offered, from caving and climbing to kayaking and skiing. 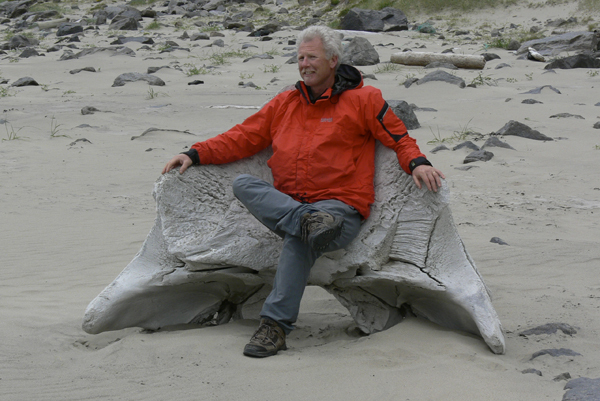 He developed the NOLS sea kayaking Instructor course and authored their instructor manual. Tim also helped to create materials and teaching practices for the Federally sponsored conservation program “Leave No Trace”. Åsa grew up on a YMCA camp on the west coast of Sweden, along with her sister; Crossing Latitudes founder; Lena Conlan. Åsa has a degree in Physical Education and Swedish Language and worked in Swedish high schools for many years. When not out back country skiing Åsa can be seen working as a Landscaper in and around Bozeman, Montana. Åsa has worked with Tim and Lena since they started Crossing Latitudes in 1996. She has paddled in Norway, Sweden, Finland, Alaska, Honduras, Greece and Mexico. Åsa married Jay Pape in Bozeman in December 2007 and is calling Bozeman, MT her home. 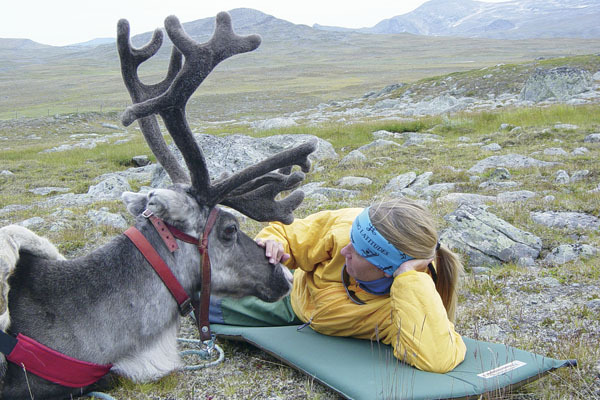 Åsa also teaches for NOLS Wilderness Medicine both in Europe and the USA. From the forest and lakes of Värmland (Wermland) she moved to Östersund in Sweden to be close to mountains and creeks. Being outdors is an essential part of Malin’s life and the she likes paddling, tour skiing, randonée, snowmobile, caving, tour riding etc. Malin is studying to become a nurse and take great interest in the wilderness medicine. Her goal is to combine professional nursing with teaching wilderness medicine and guiding in the outdoors. 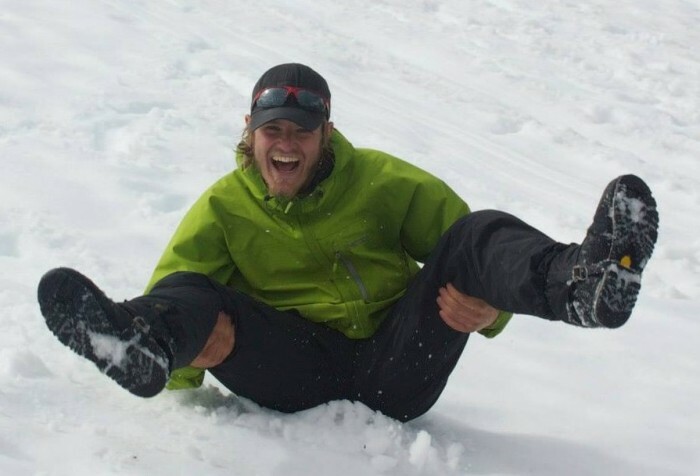 Malin became a NOLS Wilderness Medicine instructor in 2015. Roope has been teaching and guiding mountain activities in Europe, Himalaya and Greenland for the past 30 years. He’s other passion is to guide and teach sea kayaking – which he’s done in 15 different countries! Finland is his home base but the world is his play-ground. Roope is a NOLS Wilderness Medicine instructor and teaches courses in both Swedsih and Finnish. Roope has a WEMT certification – Wilderness Emergency Medical Technician. Roope owns and operates his own guiding business Moln. Roope speak fluent Swedish, Finnish and English as well as good Norwegian and Spanish. 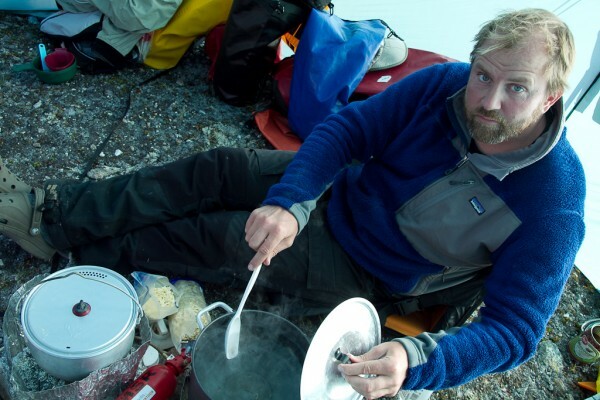 Elias Sjöberg has taught NOLS Wilderness Medicine courses for several years. Elias lives outside Eksjö in Småland, Sweden – not far from the farm he grew up on. Elias is a ski patroler in Säfsen during the winter where he unfortunately accumulate lots of first aid experience. He is a graduate of the Älvdalen Utlbildningscenter Outdoor Ed program. Elias have some cool back country experience – like crossing Madagascar by foot – and leading NOLS Expeditions. Elias is a Wilderness EMT and he is teaching both WFA, WAFA, WFR-R and WFR courses all over the world. Elias also owns and operates KBK Adventures. When 9-1-1 is not an option, the rules change. If it’s your responsibility to recognize, prevent and treat wilderness medicine emergencies, you need to be ready. 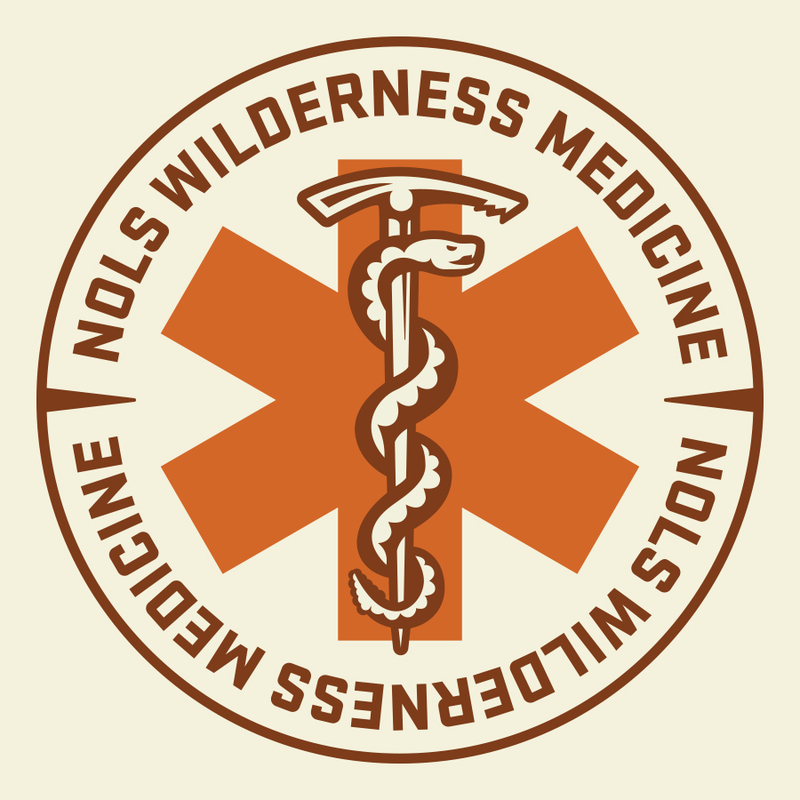 The NOLS Wilderness Medicine is the leader in wilderness medicine education. Our goal is to provide the highest quality education and information for the recognition, treatment, and prevention of wilderness emergencies. ATTA The Adventure Travel Trade Association inspires, connects and empowers the global community to do good through travel. 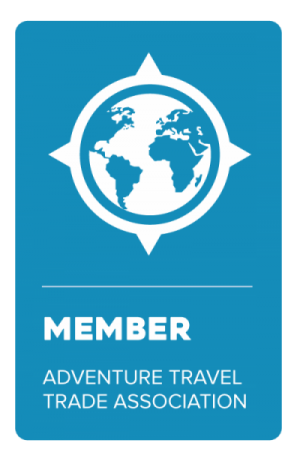 We’re an ever-growing community of passionate travel professionals from destinations all around the globe. NJORD SEAKAYAK & WILDERNESS ADVENTURES rents out kayaks and offers guided Sea Kayaking Trips on the mighty Sognefjord in Norway. The spectacular community of Flåm is their home base. Njord also offers Leave No Trace Trainer and Master courses and they host NOLS Wilderness Medicine courses. We enjoy outdoor activities regardless environment and conditions. We have always a lot of fun. We offer private trips based on your desire and needs; hiking, kayaking, climbing, mountain biking or a combination – a multi-adventure! In Europe’s last untouched wilderness, in the heart of Swedish Lapland, Wilderness Life offer real nature adventures, activities and experiences for both families and for seasoned outdoors people. First class fishing, hunting & bushcraft adventures, snowmobiling and husky safari. PRIMUS – Ever since its beginnings more than a century ago, Primus has stood for cooking, lighting and heating. Roald Amundsen had a Primus stove among his supplies when he was the first person to reach the South Pole on 14 December 1911. Sir Edmund Hillary and Tenzing Norgay used a Primus on Mount Everest when they reached the summit on 29 May 1953. Every day, all round the world millions of people use our stoves and lanterns. No matter whether you need to cook at the North Pole or in your own back garden, you can count on Primus to work. Hyalite Equipment – an employee owned company located in the mountain town of Bozeman, Montana USA. We create gear for human powered endeavors. Our products offer some of the most innovative equipment ever. Great functional, ground-breaking and built to last, because good gear = less waste. SARInfo - Adventure, whether it’s on the water or in the woods and mountains, requires knowledge & proper equipment. SARInfo teaches Search & Rescue and rents Sat phones and PLB’s. Our Hugging the Coast Exp. in Indonesia appreciates SARInfo support! Hilleberg is a family owned company with 40 years of experience in making tents of the highest quality. In the backcountry, inadequate shelter can have serious consequences – the tent must be reliable. Crossing Latitudes depends on Hilleberg. Kokatat has been manufacturing paddling gear in Arcata, California for more than 40 years. 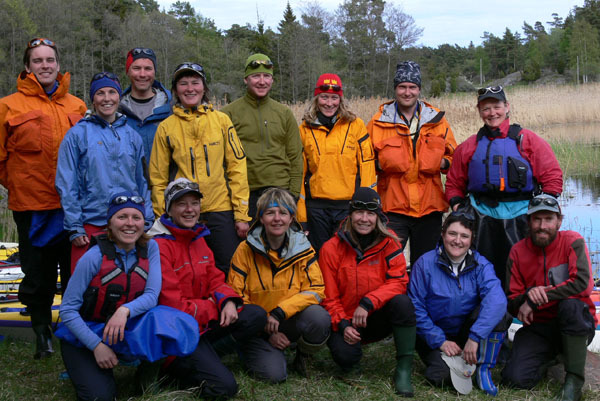 Crossing Latitudes has always used Kokatat gear – we consider Kokatat pfd’s and Anoraks the best equipment there is! The WindPaddle is a self-launching, small-watercraft sail for kayaks and canoes. The WindPaddle sail design is safe, lightweight, corrosion-resistant, durable, inexpensive, and can be quickly set-up and taken down while out on the water. Founded in 1983, the Wilderness Medical Society (WMS) is the world’s leading organization devoted to wilderness medical challenges. Wilderness medicine topics include expedition and disaster medicine, dive medicine, search and rescue, altitude illness, cold- and heat-related illness, wilderness trauma, and wild animal attacks. SteriPEN harnesses the power of ultraviolet light to make water safe to drink. The same technology is used by water manufacturers, as well as major cities to purify water. SteriPEN is safe and effective, eliminating over 99.9% of bacteria, viruses and protozoa. Kläderna vänder sig till den moderna kvinnan som söker funktionella arbetskläder av hög kvalitet, snygg design och mycket god passform. SheWorkerWear är det självklara valet för dig som söker kvalitativa, tåliga och väldesignade arbetskläder, både i professionella sammanhang och för fritiden. Svenska Ekoturismföreningen arbetar för ekoturism, en turism som bevarar och tar ansvar för ömtålig natur och kultur. Nature´s Best is the first national quality label for nature tours in Europe. This is ecotourism at it’s best! NOLS is the Leader in Wilderness Education. The mission of NOLS is to be the leading source and teacher of wilderness skills and leadership that serve people and the environment. A Tentipi® Nordic tipi - Great group shelters evoking the spirit of legendary nomadic cultures that defied the elements. Alewalds Ourdoor & Sport Do we need to say more? If you live in Stockholm you know this is the place to go for quality outdoor gear and excellent customer service. Alpengirl; an outdoor summer camp for girls, endeavors to influence the world just one girl at a time. To open her eyes, exercise her inquisitive mind, and develop her physical strength. Alpengirl’s unparalleled programs foster growth through a philosophy of mind-body connection that promotes “Fitness Through Adventure”. Trips in Montana, Washington, Hawaii, Alaska and Norway. Terra Santa Kayak Expeditions is Israel’s major kayaking center. It offers kayak courses and regular club activities throughout the year, under the guidance of our British Canoe Union certified kayak instructors. Terra Santa also offers diverse kayaking destinations during all seasons. Horisont Kajak offers educational Sea Kayaking courses in the Stockholm Archipelago. They also rent out and sell Sea Kayaking Equipment. All staff are trained BCU kayaking instructors and and taken WMI of NOLS Wilderness First Aid courses.